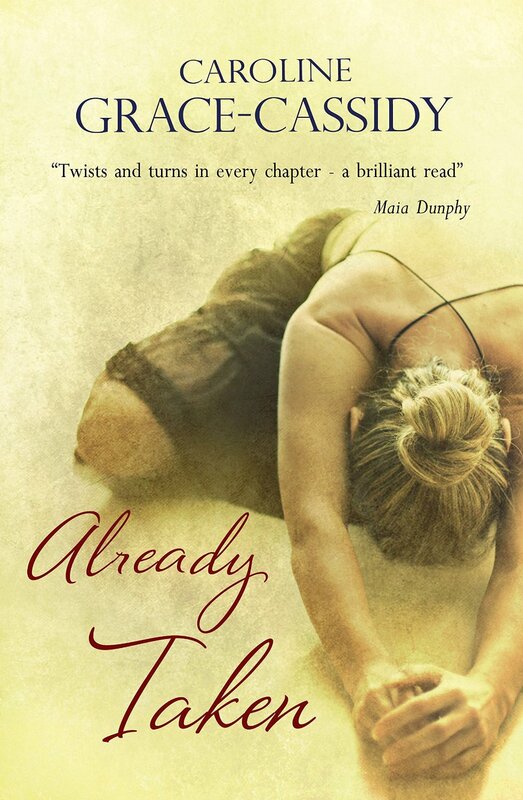 BleachHouseLibrary.ie: "Already Taken" by Caroline Grace-Cassidy. This is the fourth novel from Irish writer, Caroline Grace-Cassidy, and the first I have reviewed on BleachHouseLibrary. Kate is a relative loner. She adores her sister, Ciara, who has a medical condition called aplastic anaemia and badly needs a bone marrow donor. Their father is an alcoholic who drove their mother away and Kate blames him for her miserable childhood. Dance is her way of letting off steam. She sees scenes from Flashdance in her head and heads to the local dance classes to shake off her troubles. Best mate, Phillip, is there for her. He runs the dance studio and understands Kate's need to escape into the world of movement. He cajoles her, entertains her, supplies her with advice (not always great) and wine. All the things a best friend should do. Hugh is a man carrying a heavy load of guilt. Himself and Kate are attracted to each other from the get-go, but will his guilt, and her fear of trust, be their downfall? Caroline Grace-Cassidy uses her characters to tell this story. Kate is fiesty yet fearful, confident yet still insecure, cutting while caring. She is human, Hurt by her past, she tries to make her future something she can be comfortable in. There is a doubt that she could afford to live on her own in Dublin, with her distinct lack of finances and no job, but that's what's great about fiction. You don't have to worry about paying the bills. Hugh is a stereotypical Englishman. Well-mannered public school boy with floppy hair and great dress sense. Wealthy, educated, handsome and with a huge heart, he balances out the more cynical and salt-of-the-earth Kate. Such a great review, very well written. I love the way you write about books.